Doing laundry takes too much time… Sometimes you gotta go back to the laundry bin… and recycle. GROSS!!! buy some more before you do that haha. I think your bigger concern is the spiders in the dresser. Probably safer to just burn it and buy a new dresser. 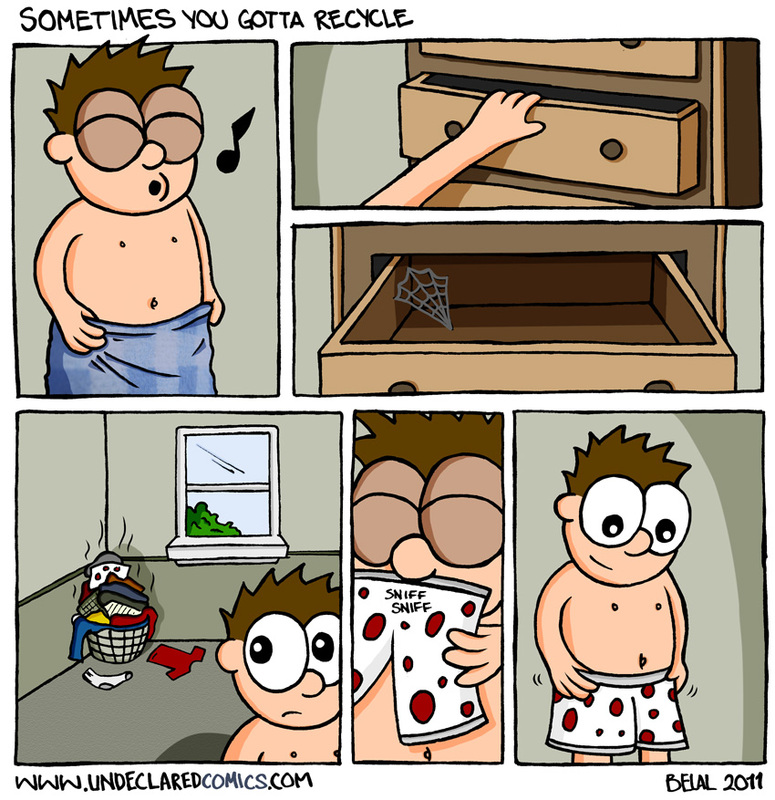 I think everyone has gone through this at one point or another :P.
No matter how true this is, and it is very very true, the extent to which he (you?) seems to be enjoying sniffing the boxers disturbs me! Maybe he only wore it for a short while and it didn’t stink? What the hell is that in the dirty laundry basket with the holes in it……a piece of Swiss cheese????? Haha… They’re supposed to be the boxers in the next panel, but cheese could work too. Dude, this is not what we call recycle, that’s what we called “RE-USE”.